As we approach the 43rd anniversary of Roe v. Wade, pro-lifers plan to assemble for the annual March for Life in Washington, D.C. 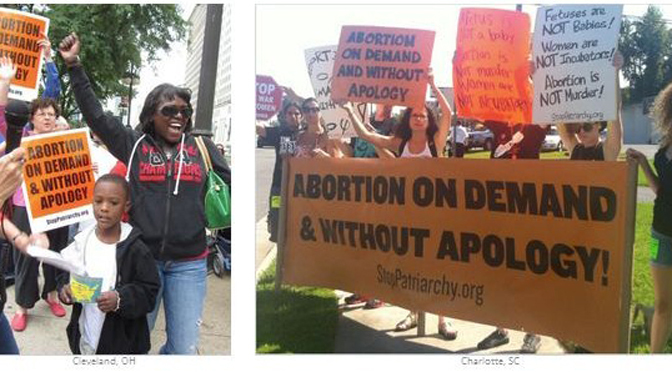 The annual event is a chance for life advocates to show their opposition to the legalization of abortion-on-demand in all 50 states. 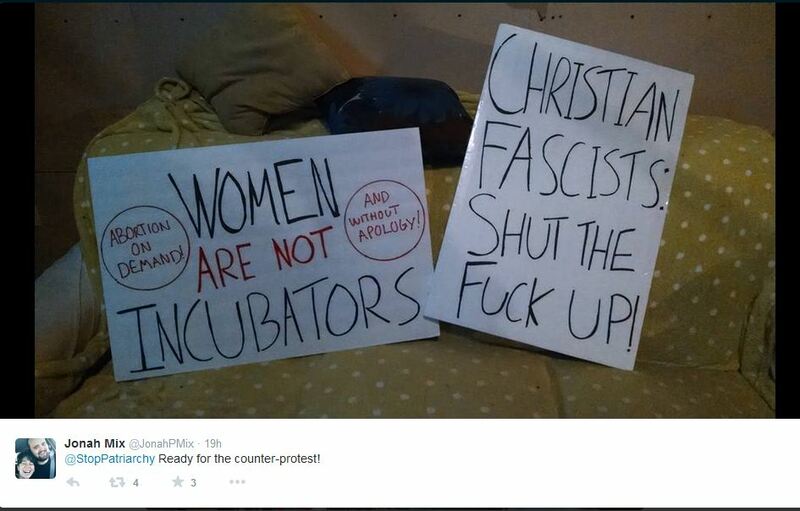 Abortion activists are not happy and are gearing up for a confrontation with pro-lifers. 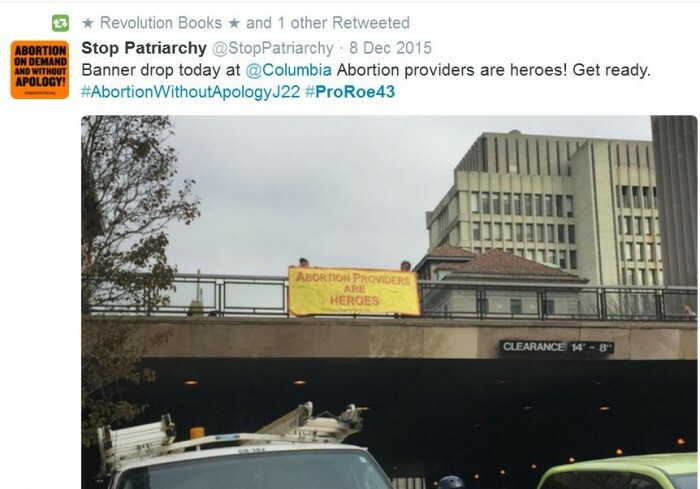 You’ve seen them before, that revolutionary self-proclaimed Communist pro-abortion group, Stop Patriarchy laying on the ground in blood soaked clothes to draw attention to women they claim died from illegal abortion. 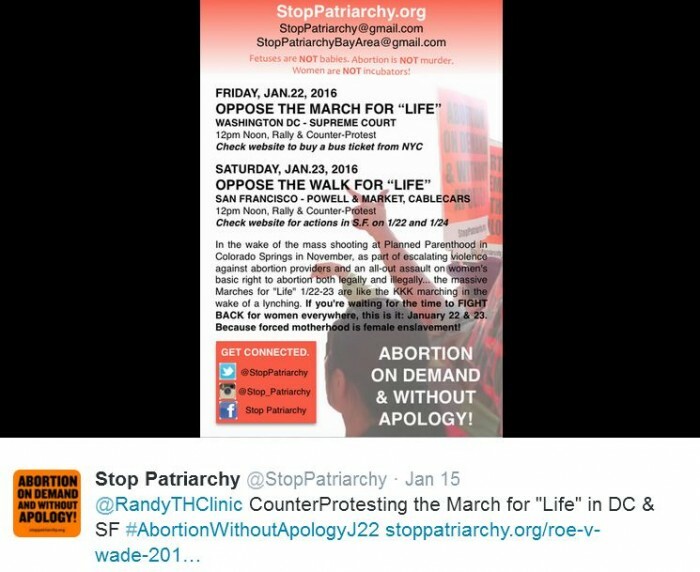 Just as they did in 2015, they are planning to protest the March for Life in Washington, D. C.
In 2015, as pro-lifers gathered in D.C., Stop Patriarchy failed to stop the March for Life using their radical tactics. They then called for a revolution in the “spirit of Ferguson” against Black pro-lifers, who organized a rally in Oakland, California. But they failed in their agenda there as well. In addition, an abortion rights protester with the Stop Patriarchy protest was heard using a racial slur in referring to Dr. Alveda King, the niece of civil rights leader Martin Luther King, Jr., while she prayed in D.C.
Stop Patriarchy now plans to try again by confronting what they call the “abortion rights emergency” to “defeat the war on women.” According to the group’s leaders, they will be at the 2016 March for Life at the same time that pro-lifers plan to be in front of the Supreme Court. 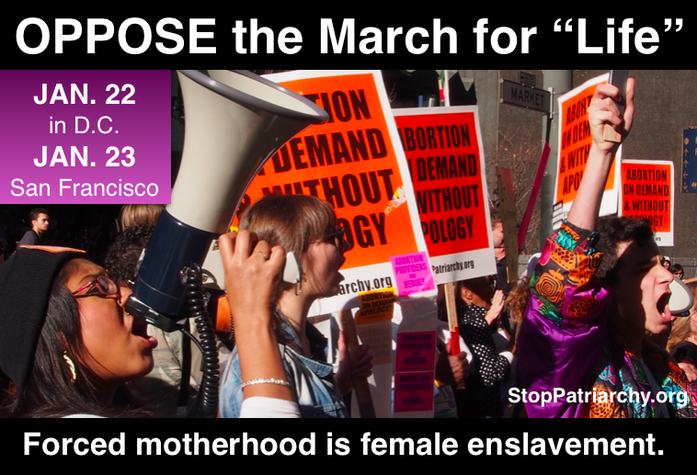 The radical group also plans to protest the Walk for Life in San Francisco, California, on January 23rd. 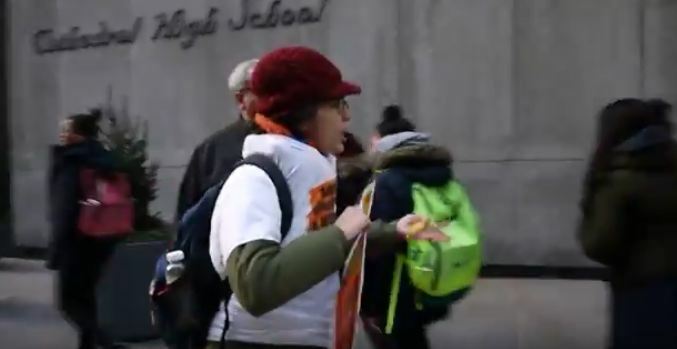 To gear up for their big confrontation, and because Catholic students generally attend the March for Life, members of Stop Patriarchy recently protested outside a New York City Catholic High School, calling abortion an “awesome amazing thing that saved women’s lives.” The abortion rights group pretends to care for women despite the fact that they never mention the women maimed and killed from legal abortion or those whose rapes are covered-up by the abortion industry. Unbelievable as it may seem, in the 21st century there are still people—including people in positions of power and authority—who are determined to force women to bear children, regardless of the situation, the feelings, and the better judgment of those women themselves. The future of women is being fought out and it’s going to be decided. I know the emergency has been building for years, but things like this don’t stay two-sided forever. One side or the other is going to win, and the scales are tipping the wrong way. It’s not a time to be on the sidelines. It’s not a time to be demoralized. 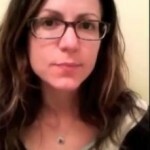 There is a tremendous potential to wake up millions and reverse this whole direction. Which future we get is up to each of us.